Happy Birthday to Roland Sansone Vegas Developer! 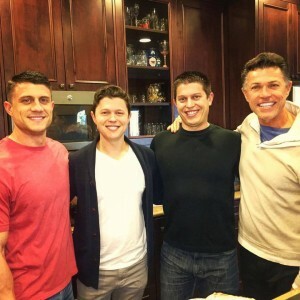 Today Roland Sansone is celebrating his birthday. Looking back on 2016, a lot has transformed. John’s Incredible Pizza has opened in Las Vegas. Roland’s company, Sansone Companies, has completed an amazing facade transformation, and Sansone has signed a deal with a National Sea Aquarium to take 30,000 SF at the Boulevard Mall in Vegas. 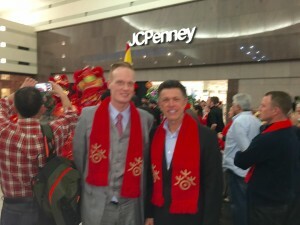 Roland Sansone and Timo Kuusela the General manager of the Boulevard Mall at the Chinese New Year event. Roland Sansone founded Sansone Development in Vegas in 1978. Over the last 32 years, Roland has built up a commercial real estate portfolio close to one million square feet. Roland Sansone, president, oversees the operations and strategic growth of the company and its subsidiaries, located in Henderson, Nevada.